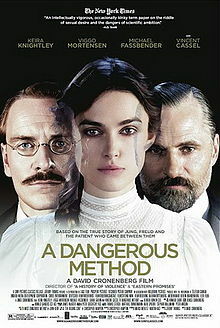 Carl Jung (Michael Fassbender), a student and colleague of Sigmund Freud (Viggo Mortensen) cures a patient, Sabina Spielrein (Keira Knightley) who then becomes both his student and his lover. I don’t know how much of this story is true. What I do know is how much of the story is dull. Lots of very long conversations between the three main characters in various combinations. I felt as though it was possible that Keira Knightley may have been quite good in this performance, but I am so fed up with seeing her pouting and flouncing in so many other roles that I just can’t tell.